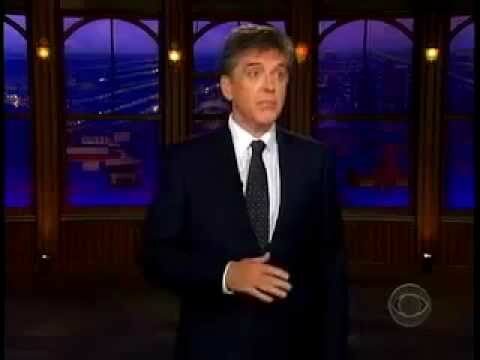 Craig Ferguson is a versatile and genial late-night talk show host. 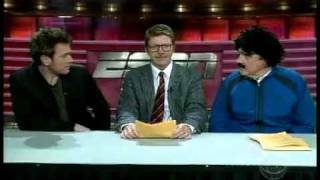 When I first became a fan of his show, what drew me in was his easy, friendly humor and genuine approach to interviews, preferring to engage in actual conversation over canned banter. He throws himself into goofy, off-the-wall sketches that display real originality and a lively, free style. His take on the late-night sidekick, for instance, takes the shape of a "Gay Robot Skeleton" named Geoff, designed by the team at MythBusters, for which he has professed avid fandom. He bleeps the profanity he or guests occasionally blurt out with cartoon flags accompanied by a sped-up "Tootsie Frootsie!" or another goofy quip. It wasn't until I'd already been reeled in by his charm that I came to understand there was a substantial depth within Mr. Ferguson. He writes in this book that he approaches his show with an effort towards honesty. In 2007 after Britney Spears had been in the news for some "crazy" antics, he performed a monologue that opened up about his past as an alcoholic, which meant that he couldn't help being compassionate towards her and disdainful of "attacks on the vulnerable". From that moment on, it was apparent that he had plenty of stories to tell. The final step in the evolution of my understanding of Ferguson as a late night personality was his considerable intelligence and curiosity. Most comedians are bright and sharp, with a certain cleverness or astuteness about them that provides them insights into the everyday events most of us take for granted. But Craig displays a deep love of classic literature and humanistic inquiry, often playfully asking his guests whether they are more Jungian or Freudian. 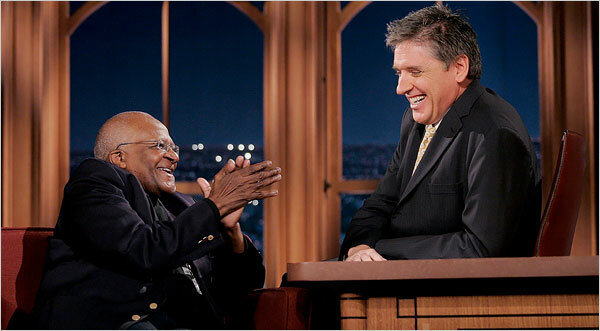 In 2009 he devoted an entire episode to an interview with Archbishop Desmond Tutu, for which he later received a Peabody Award. Having always been good at school and having been successfully educated, I am always fascinated by those who come to education in a more circuitous way, often with profound insights from their unique perspective and strong personal drive. It's admirable, and worth trying to learn from. I spend all this time describing who Craig Ferguson is as a TV personality because once you know that, this book is a lot easier to understand and predict. 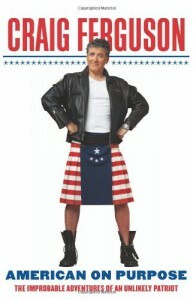 It's a wise, open, funny take on his own life and the lessons that inform his path forward, framed by his choice to become an American citizen despite being Scottish-born. Listening to the audiobook was like listening to him tell a long story; heck, that's exactly what was. There were sections that were noticeably more spirited in their narration than others, and sections that described intricacies of certain showbiz choices that were probably more detailed than necessary. Like you would expect, he seems to have a stronger sense of the thread of narrative meaning intertwining the events in his distant past than the more recent ones, sometimes allowing those of the past few years to fall into a laundry list instead of a narrative. But for by far the greater part, it was a good story, and he's a friendly companion. 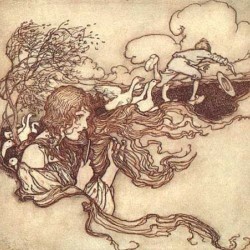 At the beginning, he quotes William Blake, who said, "The road to excess leads to the palace of wisdom." It may not be a path that's fun to travel, but it certainly makes for a good yarn.